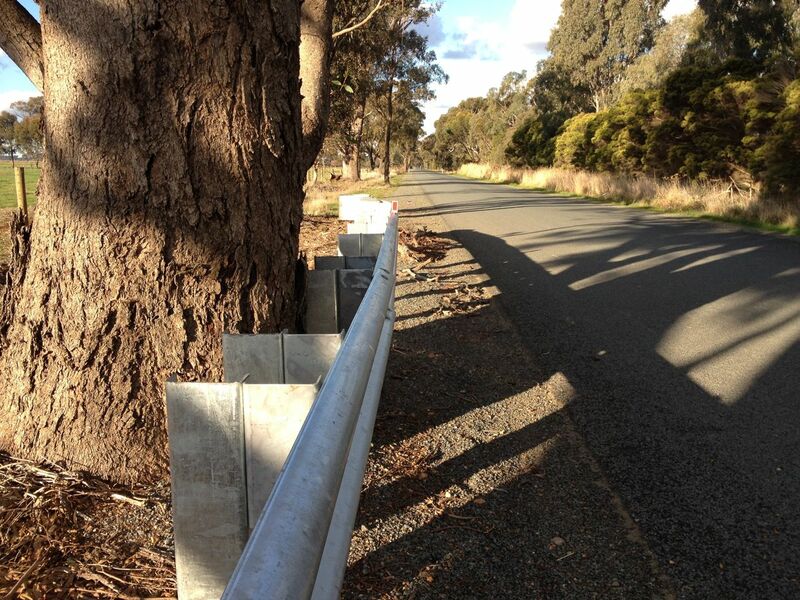 In some instances, guardrails can be an alternative to removing trees. There are often alternatives to broadscale tree clearance or vegetation removal. We will be posting ideas on ecologically sensitive ideas for protecting vegetation while ensuring roads are safe in coming weeks. VicRoads already solves the problem of keeping highways both safe and minimal. The Tullamarine freeway (Melbourne) has 3 lanes either way, with a concrete median barrier (which is where light/electricity poles can be placed) and concrete or metal guards on the edge. 100 kph speeds are allowed here. The Western Ring is similar – with its 4 lanes each way. This enormous diamond intersection on the #WstnHwy services very few vehicles crossing over. One solution to building unnecessary and wasteful structures is to have better community consultation so that the justification for such things can be scrutinised. The excessive width of the new “duplication” (west of Beaufort) when compared with the old 2-way highway on the #Wstn Hwy shows it is much more than a “duplication.” More of an effort by authorities to firstly inform and then properly consult with the community may have prevented such waste and environmental destruction.